This is by far the most comprehensive and user-friendly text for both professor and student! I am continuing to use it in my Athletic Training Program, and beginning next year, I will institute it into my PT courses in Ortho I II. 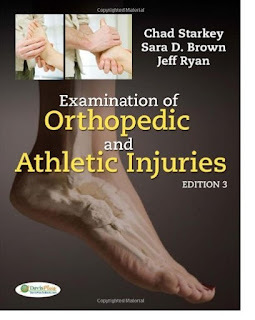 Vincent J. Hudson, MS, PT, ATC, MBA, University of Central Florida, Orlando, Florida, review of the 2nd Edition. The 3rd Edition of this popular work has been completely revised and updated to bring you all of the field s most current knowledge in an even easier-to-use new design. Its superb combination of detailed illustrations and precise language make even the most complicated concepts and techniques clear. Organized by body region, each chapter begins with a review of anatomy and biomechanics; proceeds through clinical evaluation, pathologies and related special tests; and concludes with a discussion of on-field or initial management of specific injuries.